Ready to assemble cabinets are becoming increasingly popular throughout the country. These cabinets are shipped to the consumer so that when the consumer opens the package, they then put together the cabinet themselves. These cabinets come in the wake of the success of RTA (ready to assemble) furniture items that are currently sold at stores like IKEA. 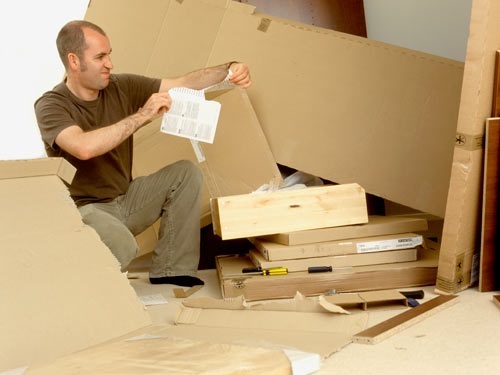 The convenience of being able to pull the furniture out of the packaging and have instructions telling you exactly how to put everything together is very convenient. RTA products have made it convenient for the seller to mass produce products that can shipped directly to the consumer and then put together in their home. Ready to assemble furniture has been around since the 1940’s and with the ability to mass produce this type of furniture, homes can go from completely bare to furnished in a couple weeks. This efficiency that a house can be furnished makes it a lot easier for the homeowner as they do not need to wait months to completely furnish their house. The process that the homeowner can now take only has a few steps compared to many if they were purchasing already assembled furniture. Homeowners can visit ikea show rooms that have sets of furniture that they may want to purchase. They choose furniture that is going to fill each of their rooms in the house and even their patio area. They submit the order with ikea or a similar company and the company will then ship boxes to the house with the RTA furnishing ready to be assembled. RTA furniture has seen a large boom in the past decade and that is expected to continue in the future. The furniture and cabinets that can be put together to renovate a home efficiently have changed how homes are being renovated. Stores such as Home Depot and Lowe’s can carry the RTA cabinets that they can then ship from warehouses and not need to worry about transporting goods from the store to the house. Along with internet being used far more frequently in purchasing today, it has never been more convenient to renovate a house. When houses are being bought in the near future, boxes of ready to assemble furniture may already be in the house, included in the sale. The immersion of these furnishings continues to make life easier for consumers of the goods. Be the first to comment on "Brief History of Ready to Assemble Goods"